Our extra virgin olive oil is cold extracted and obtained only by mechanical methods. It comes from olive tree plantations in the Mediterranean basin, in particular Andalusia, which has been home to olive trees for thousands of years. Our careful choice in producers allows us to supply our customers with an oil with a flavour that is equally balanced amongst the three officially recognized positive attributes for olive oil tasting, namely fruity, spicy, and bitter. This oil containing omega-9 is particularly recommended for diets aiming to reduce the risk of cardiovascular disease and high levels of bad cholesterol (LDL). Close the container well after each use. Should be consumed within 3 months of opening. To be used in seasoning (salads, hot or cold dishes) or in cooking your daily dishes (on the stovetop, in an oven, or for frying). 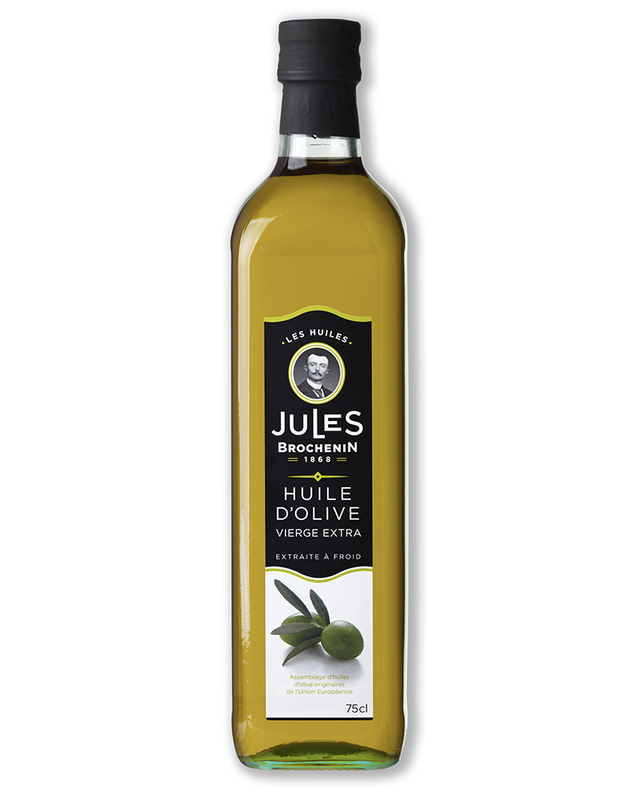 Our olive oil will add an agreeably light and subtle flavor to your dishes. 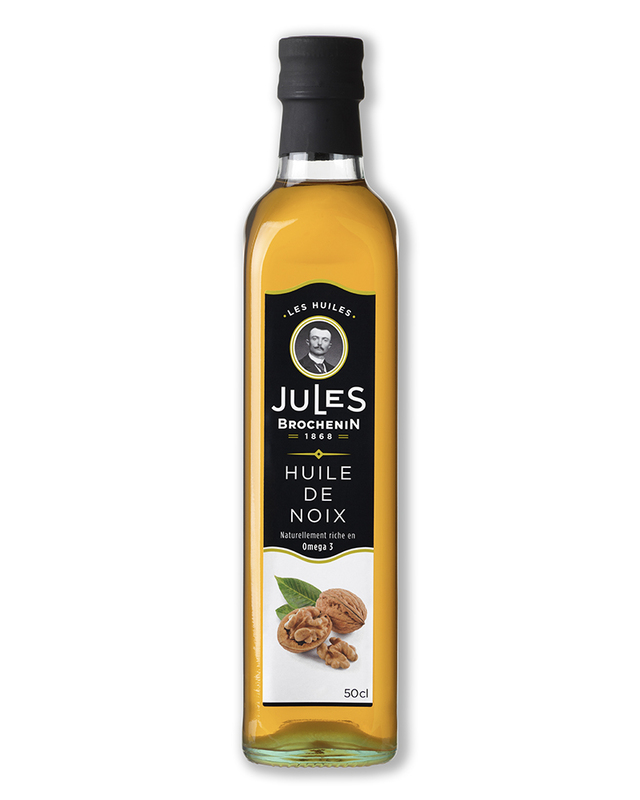 To preserve the natural nutritional qualities of this oil, do not exceed 180°C during cooking. This oil is obtained by extraction from grape seeds. 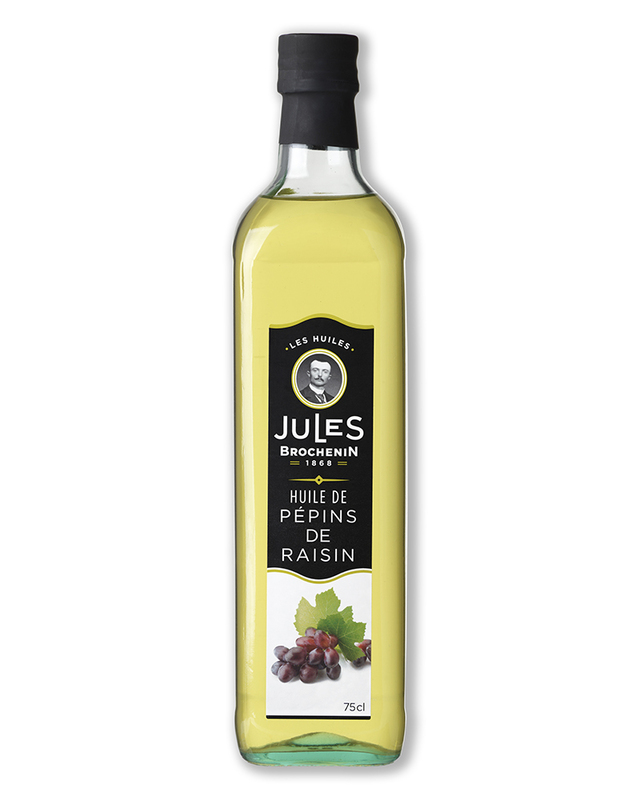 It is then refined to obtain a neutral tasting oil that can be adapted to all types of dishes and preparations. This oil is fluid, clear, and has a mild flavor. Rich in polyunsaturated fatty acids. Close the container well after each use. Should be consumed within three months of opening. It can be used in all types of dishes but particularly recommended for frying. Do not exceed 180°C during cooking. This orange colored oil is a gourmet oil par excellence. Its powerful and characteristic walnut flavor is very popular amongst some of the world’s greatest chefs. Rich in fatty acids ‘Omega 3’ – rich in polyunsaturated fatty acids. It is suitable for both cold and hot preparations. Ideal for seasoning salads, it can also be used in pastry in place of butter. 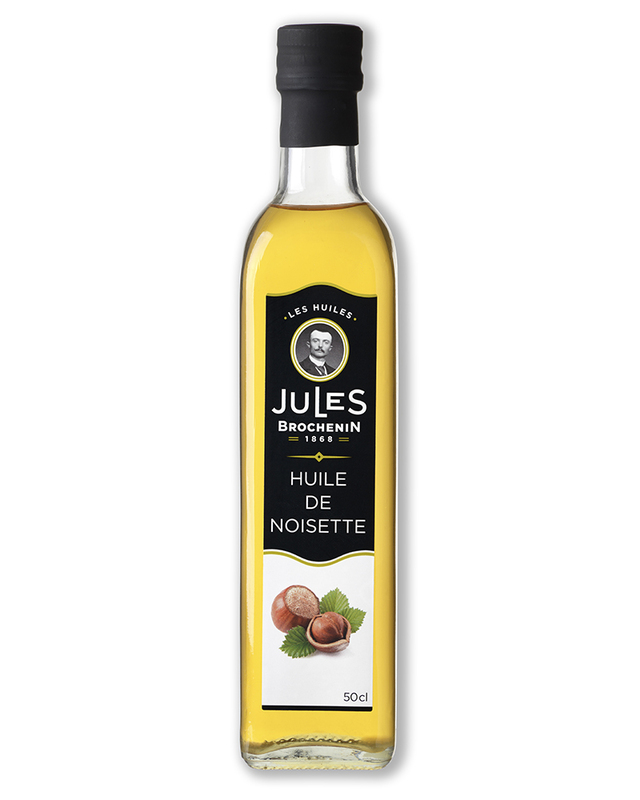 Its powerful and characteristic hazelnut flavor is very popular amongst some of the world’s greatest chefs. To be used in seasoning. It is also recommended in pastry or to flavor white meat. 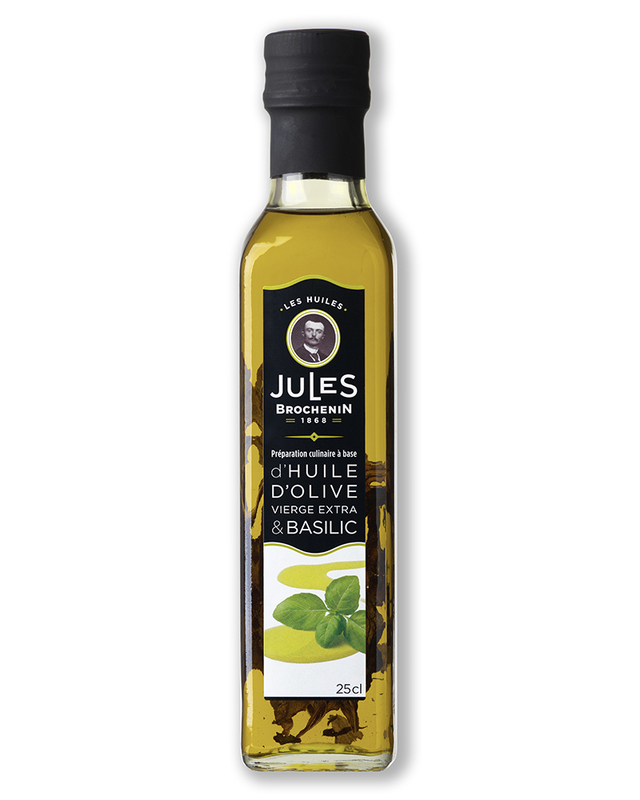 This extra virgin olive oil contains dried basil leaves and basil essential oils. This blend results in an oil with powerful and fruity flavours. We incorporate dried garlic slices and garlic essential oil into an extra virgin olive oil carefully chosen for this purpose. The garlic gives a distinctly Mediterranean smell and flavour to this oil, which also allows you to take advantage of the many recognized health benefits of garlic.